Filles Vertes Publishing, 9781946802125, 464pp. Rayne Davidson is perfectly happy fading into the background. 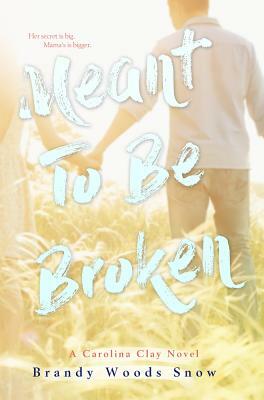 Her mama’s antics garner enough attention in their small Southern town for the both of them, but when Rayne catches the eye of all-star quarterback, Preston Howard, she’s enamored with the possibilities. Too bad Preston doesn’t make her heart thump—his brother does. Gage Howard doesn’t mind the town’s stares because he doesn’t get them. Growing up in his older brother’s shadow, Gage shrugs off the endless parade of girls Preston brings home—until Rayne. But there are unwritten rules that shouldn’t be broken, like cheating on your boyfriend or betraying your brother. Rayne and Gage deny their growing attraction, neither willing to hurt Preston—until the town finds out. They think overcoming the gossip will be the hardest obstacle. They’re wrong. Rayne’s mama has a secret, and its revelation could divide the town, the families, and the new couple. Can love endure if it’s all built on a lie? Brandy Woods Snow is an author, journalist, and member of the Romance Writers of America (RWA) and Young Adult RWA. When she’s not writing, reading, spending time with her husband or driving carpool for her three kids, she enjoys kayaking, family hikes, yelling “Go Tigers!” as loud as she can, playing the piano, and taking “naked” Jeep Wrangler cruises on twisty, country roads. She lives in Fountain Inn, South Carolina.